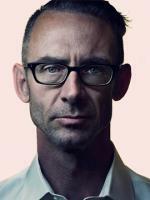 Chuck Palahniuk is author of the novels Fight Club, Survivor, Invisible Monsters, Choke, Lullaby, Diary, Haunted, Rant, Snuff, Pygmy, Tell-All, Damned, Doomed, and the upcoming Beautiful You. He also has two non-fiction books, the Portland travel memoir Fugitives & Refugees and the collection of true stories, essays, and interviews, Stranger Than Fiction. Minimalism. What is it? How does it work? Come find out in this two-week workshop led by Chuck Palahniuk and Suzy Vitello.